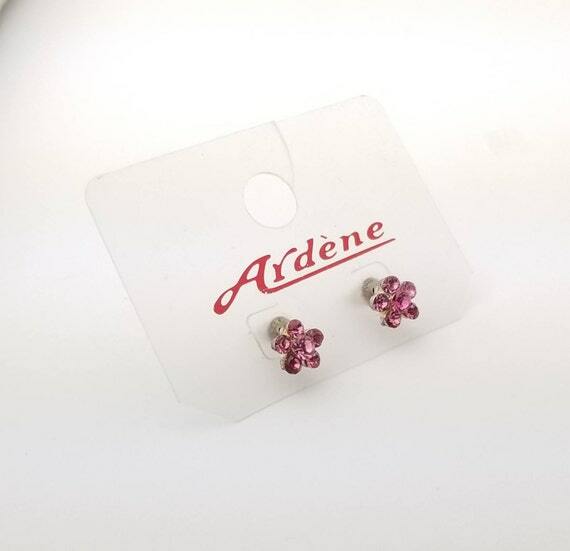 Vintage Ardene pink gemstone 5 petal flower stud costume earrings in a silver tone metal. The earrings are on their original packaging, but are a bit tarnished from age. Vintage patina left in tact, but stones are securely glued in with 6 gems per earring. Backs included.